Volunteers from the entire Environment sector. Paraguay Verde promotes environmental youth groups centered around civic and community engagement. The national conference component to Paraguay Verde successfully concluded its fifth iteration February of this year. Manuel was also a leader in Jopara, the Volunteer-led diversity committee, which helped to facilitate the first-ever LGBT ally training with Volunteers and Staff. Upon completion of service, Manuel returned to his alma mater to work as an undergraduate recruiter for the Department of Natural Resources and Environmental Sciences at the University of Illinois at Urbana-Champaign. He is also a part-time Master’s student in the Human Resources Development program. 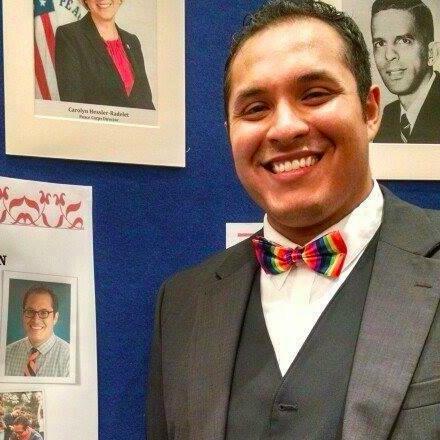 Manuel joined LGBT RPCV’s steering committee in 2013 as the New Volunteer Coordinator. In this capacity he is the liaison between the prospective Volunteer, currently serving Volunteer, and recently returned Volunteer populations and the group at large. Manuel is a major content generator on our group’s social media accounts and listserv. He works to highlight, promote, and celebrate the LGBT Volunteer experience. Other members of the Steering Committee have agreed to continue their roles to help support our new leadership. Mike Learned, former Group Leader, will remain on the Steering Committee as enewsletter editor.